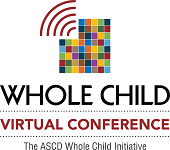 ASCD's third annual Whole Child Virtual Conference is a free, online event that provides a forum and tools for schools and districts working toward sustainability and changing school cultures to serve the whole child. Built on the theme, "Moving from Implementation to Sustainability to Culture," the conference will be held May 6–10, with international pre-conference sessions held on Friday, May 3, for Australasian and European audiences. The conference features presentations from renowned speakers, educators, authors, and education experts who have successfully implemented a whole child approach in schools around the world, including ASCD Vision in Action award-winning schools and Whole Child Network schools. Below, we hear from Finnish educator, ASCD Board member, and Whole Child Virtual Conference presenter Pasi Sahlberg, whose session, "The Finnish Experience and the Whole Child," will be held Wednesday, May 8, 10:00–11:00 a.m. eastern time. As we've said many times across this blog and in our newsletters and podcasts, we believe that a whole child approach to education is the only approach that prepares young people for long-term educational, civic, and work-life success. We believe that most educators know that to be true, but sometimes act in ways quite contrary to their beliefs. We believe a whole child approach is a relatively simple concept that is quite complex to put in place. For those reasons and more, we invite you to participate in ASCD's third annual Whole Child Virtual Conference. Entitled "Moving from Implementation to Sustainability to Culture," sessions will offer educators around the globe leadership discussions and strategies to support their work to implement and sustain a whole child approach to education. Below, we hear from educators and Whole Child Virtual Conference presenters Walter McKenzie and Thomas Hoerr, whose session, "Grit: Multiple Intelligences and Instructional Technology in the Classroom," will be held Thursday, May 9, 4:00–5:00 p.m. eastern time. 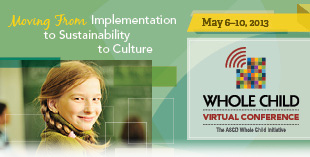 ASCD's third annual Whole Child Virtual Conference, entitled "Moving from Implementation to Sustainability to Culture," will run May 6–10, 2013. The free and exclusively online event—which attracted more than 900 participants last year—offers educators around the globe 24 sessions to support their work to implement and sustain a whole child approach to education. From Monday, May 6, through Friday, May 10, daily general sessions will be presented live between 10:00 a.m. and 5:00 p.m. eastern time. The full agenda and registration information is available at www.ascd.org/wcvirtualconference. ASCD conducted its second Whole Child Virtual Conference in May 2012. This free conference showcases schools, authors, and research about implementing a whole child approach for a worldwide audience. View and share archived session recordings, presenter handouts, and related resources at www.ascd.org/wcvirtualconference.